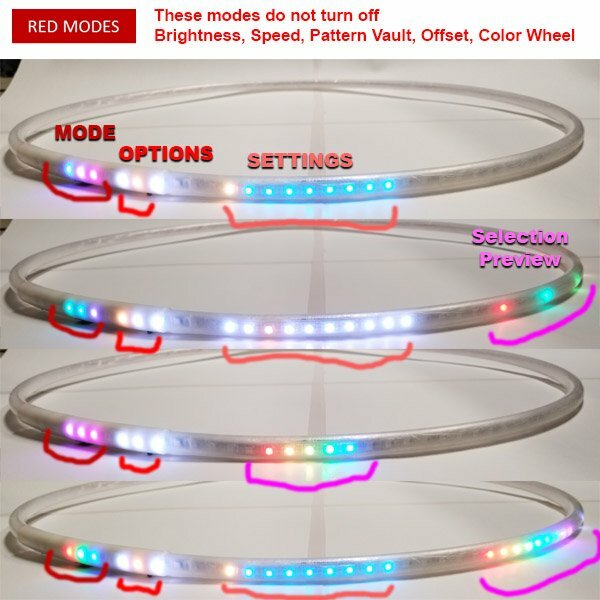 RED Modes are always ON or Active as they are required for the ZLHoop to render the Pattern and Run the Shuffle Mode. Pattern Vault : This is where all the patterns are stored. There are 21 Groups, Each Group has around 50 plus Patterns. Color Wheel : Each pattern is a like a template, the Color Wheel Mode is used to color the Pattern depending on the wheel selected.